For thousands of years, people have been making flint tools. The well-known flint knapper Markus Plesker has acquired some of the techniques with which the people of the Stone Age have processed flint stones and will gladly pass them on to those who are interested. 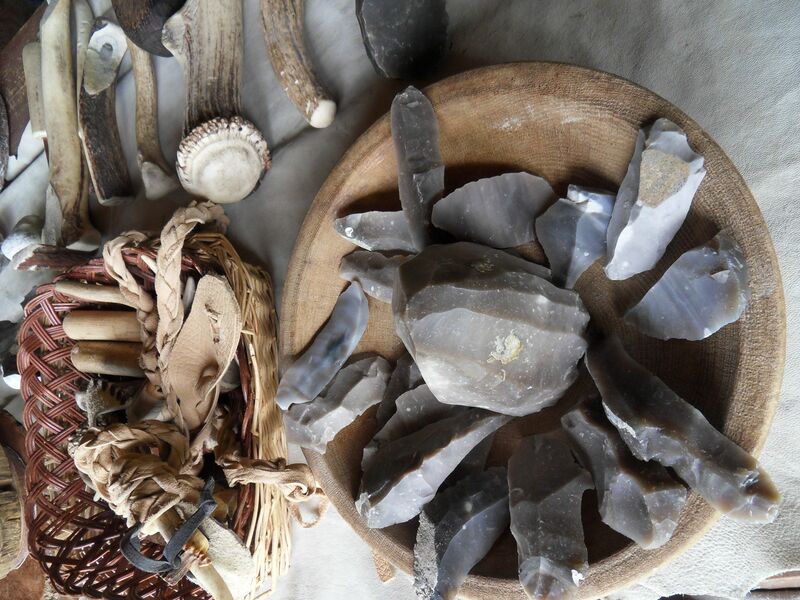 In this workshop, budding and trained archaeologists, wilderness teachers, outdoor enthusiasts, Stone Age enthusiasts, or just the curious, can learn the first steps to craft a flint tuber into a useful tool. Advanced students can deepen their knowledge of flint knapping under guidance. Of course, spectators are welcome. After an introduction to the theoretical basics and terminology of flint knapping, everyone tries to produce a first targeted blade, which is then to be processed into a first, simple tool. From the remaining rock from the previous day, a core device, e.g. a hand axe is made. In the afternoon, there is a first introduction to working with a pushing stave, with which one can get for example arrowheads out of flint blades. Course fee (incl. 1 flint rock): 80 Euro. Bring with you: leather gloves, if possible safety goggles, plasters, food.